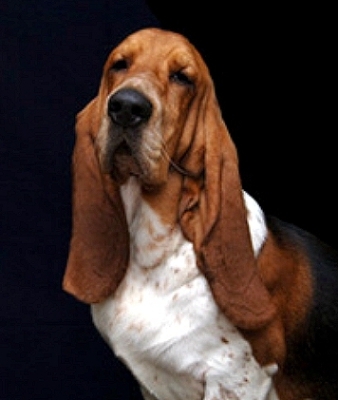 Tiger is a well balanced basset hound with lots of breed type. 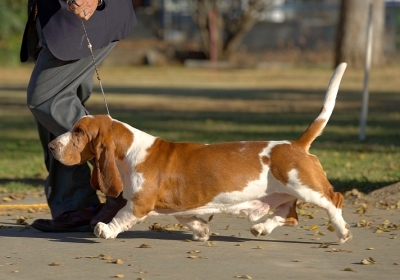 He has a beautiful front assembly, correct movement, and a wonderful temperament. 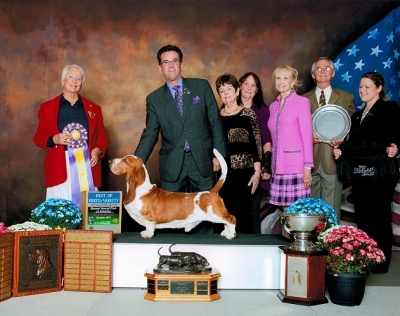 He exhibits the qualities that are hard to achieve in the Basset Hound. 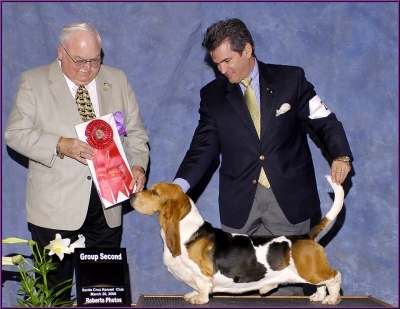 Tiger is the son of CH Topsfield Sanchu Teeter Totter; His sire is the Multiple BISS winning and 2007 Westminster Breed winner, CH. 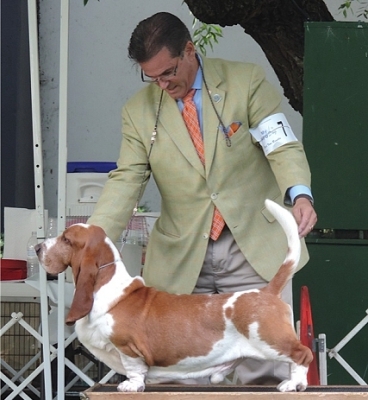 Maredge Good To Go ROM. 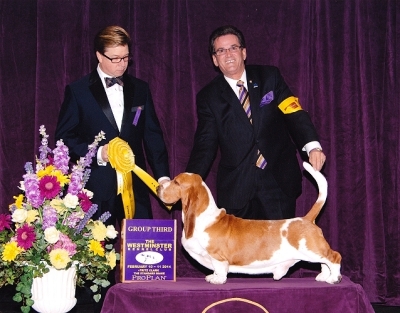 Tiger was shown by Bryan Martin, up through Westminster, 2013. 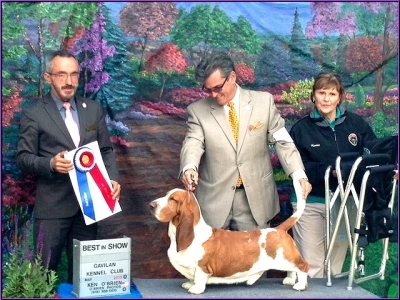 He was then shown by Mike Stone following Bryan's retirement from handling. 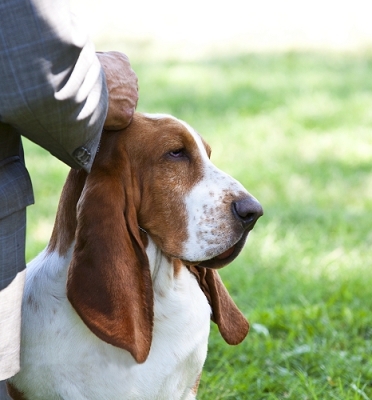 Grey has a long smooth body with beautiful ribbing, good elbows, great shoulder and rear angulations. 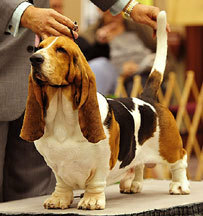 He has an exuberant personality, and beautiful reach and drive. 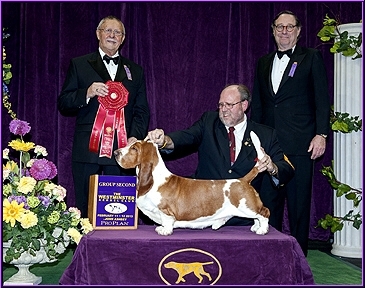 Grey was carefully selected to be bred to both Violet and Dolly. 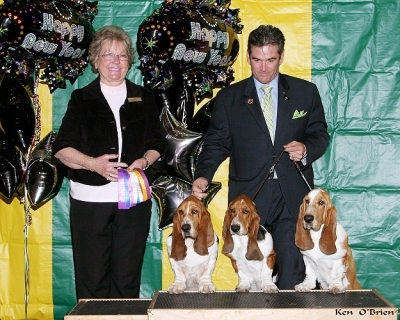 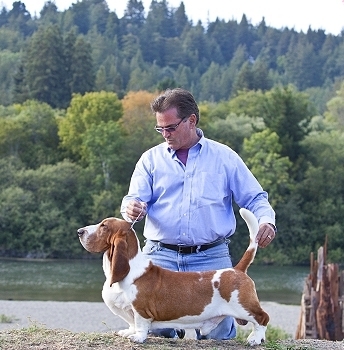 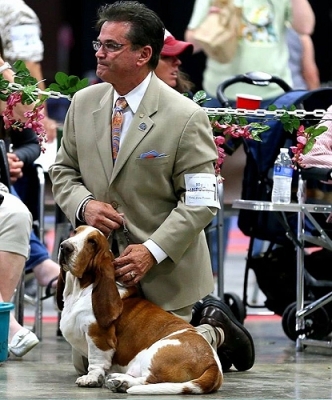 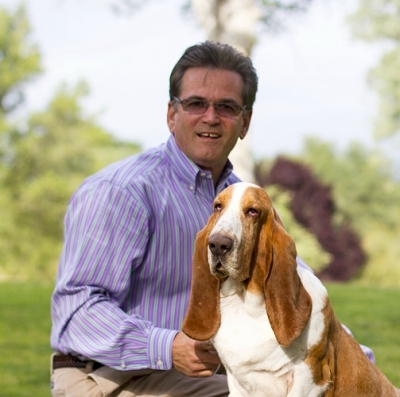 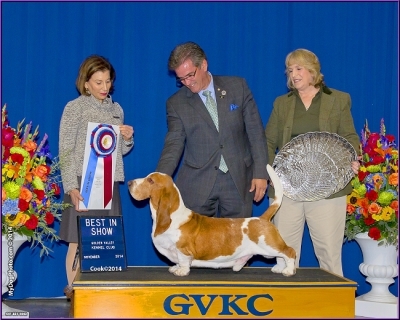 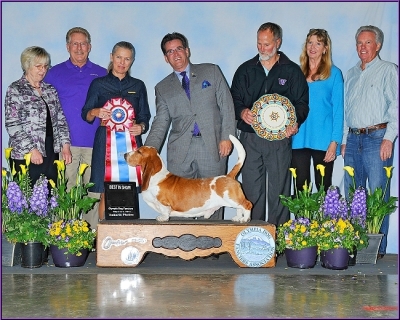 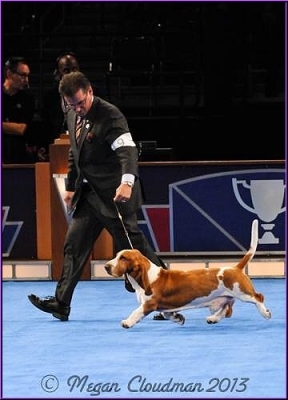 Those two breedings have produced some beautiful Bassets here at Blossomhil's Bassets. 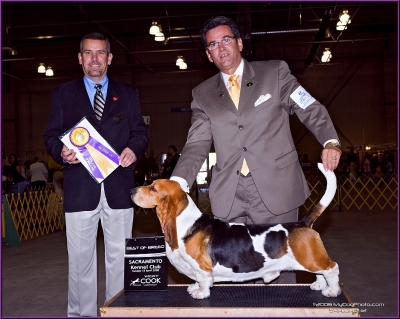 Buggy is the son of CH. 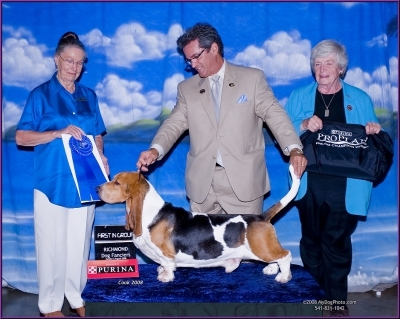 Topsfield Andromeda of Vision and CH. 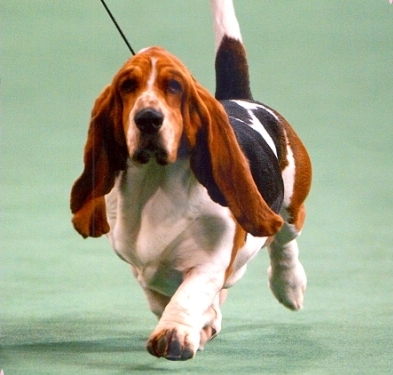 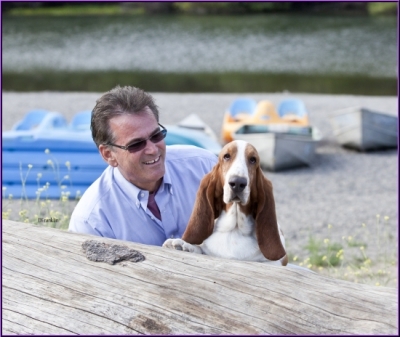 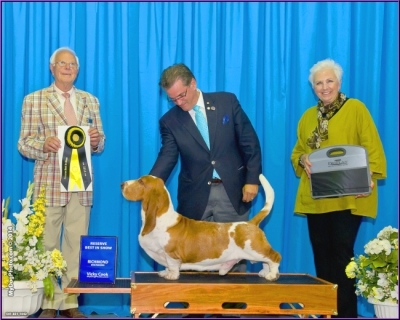 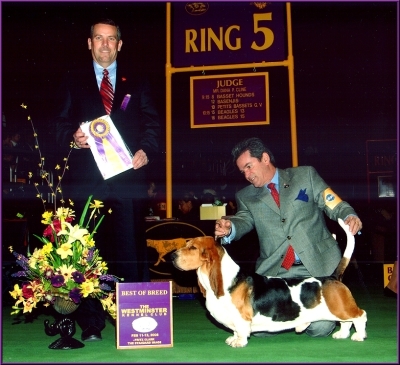 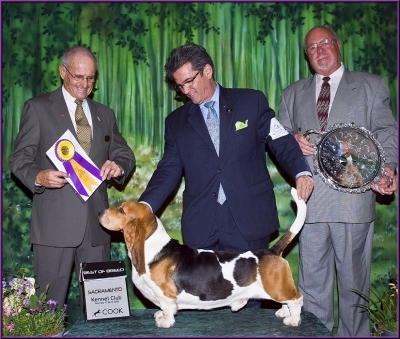 Topsfield Bumper Cars CD, ROM; who was the Number One Basset in 2000, 2001 and 2002. 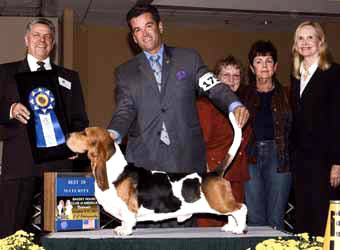 Buggy was Best In Maturity at the 2007 BHCA National Specialty. 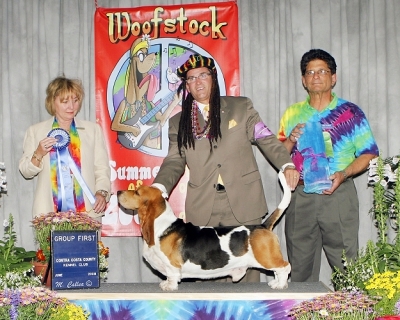 He was owned by Claire "Kitty" Steidel and Sukey Shor while he was being campaigned on the West coast handled by Mike Stone in 2007 & 2008. 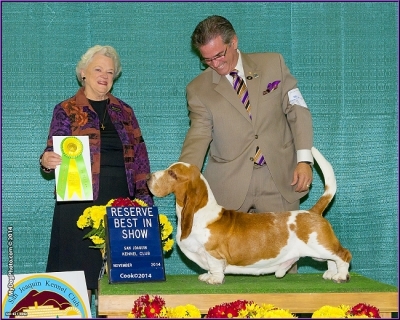 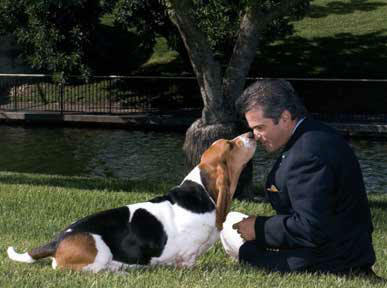 When Buggy retired from the ring he returned to his co-breeder, Judy Tuck. 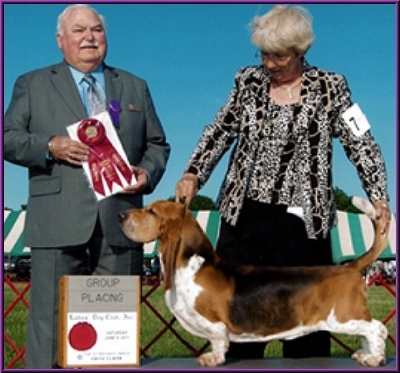 He is the sire of our beautiful girls Violet & Dolly.